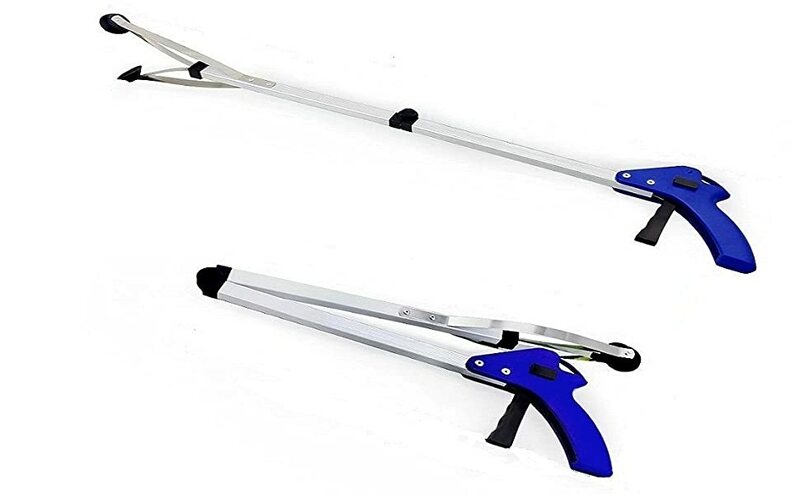 — A BeGrit reacher grabber is basically an extension of your arm which allows you to reach things easier. This Grabber tool is the perfect multi-purpose item for whenever you may need a helping hand. Great for assisting in picking up trash, getting into tight spaces, picking up glass & many other uses. 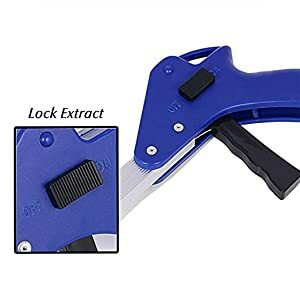 This Gripper Pickup and Reaching Tool makes it easy to pick up any items in your home, office, garden, car or boat. For people with back pain including spinal injuries, rheumatoid arthritis, knee, hip and joint pain or the elderly people. A reacher grabber is also a very useful tool for picking up litter or garden debris. 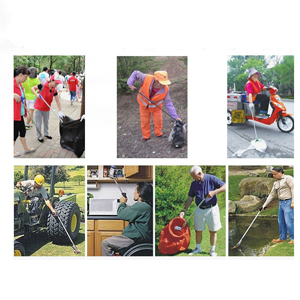 Using a grabber means that you don’t have to bend down when picking up litter from your yard. 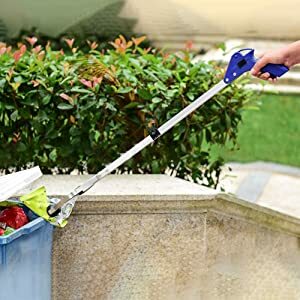 It’s also much more hygenic to use a reacher grabber as you won’t be touching debris and litter with your hands. FOLDABLE: It has 32 inches, but only 17 inches after folding. Strong rubber suction cups provide a secure grip, without damaging the surface. Locking feature to aid in handling of heavier. 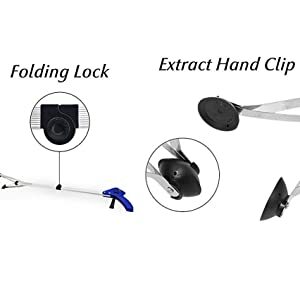 Lightweight Aluminum with Ergonomic handle trigger design, the suction reacher is suitable for indoor/outdoor use. The frame is lightweight to reduce arm and hand fatigue from constant use. Use it in your home, yard, office, car, boat, RV, and etc. Tackles any job from fallen leaves to debris in the pond or fountain.